The Lethbridge Bulls will be kicking off the 2018 WMBL season on a 9-game road trip as renovations continue at Spitz Stadium. The season opener will be May, 31st against the Edmonton Prospects. 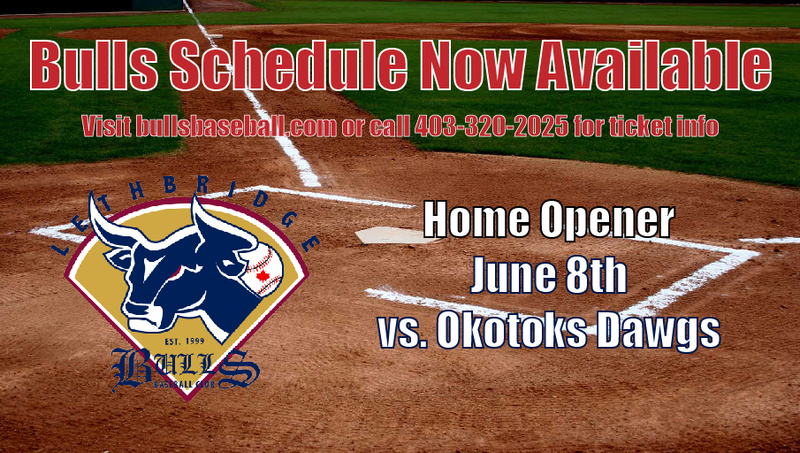 The Bulls Home Opener will be June 8th as they take on the Okotoks Dawgs. With many great additions and renovations being made to Spitz Stadium for this season, be sure to come check it out and watch some exciting Bulls Baseball. To view the full 2018 Bulls schedule, click here. For ticket information visit, http://www.bullsbaseball.com or call the Spitz Stadium Office at 403-320-2025.